I love this place call Yi Garden because it usually have all the foods my kids like to eat. Nowadays, my eldest son works 6-day week and we hardly have time to have dinner together. So, on his only off-day, we will go out and eat together as a family. He works in a 5-star hotel so we do not go to any fancy joints as those are ‘common foods’ now. What he wants are hawker foods and sometimes, crabs. Last night, we had our dinner at Yi Garden and everyone gets to order their favourite hawker foods. 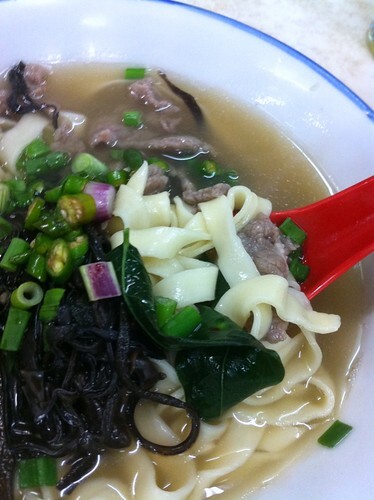 For me, the best one is the venison pan mee. Venison, in case you do not know is deer’s meat. It is cooked in some Chinese herbs and the soup is good. The pan mee is served with sayur manis and black fungus. Yi Garden is a very old kopitiam and it’s attraction is the Char Hor Fun stall. I guess the taste hasn’t changed over the years and the coffee shop is still getting a good crowd every night although there are plenty of newer hawker centres. 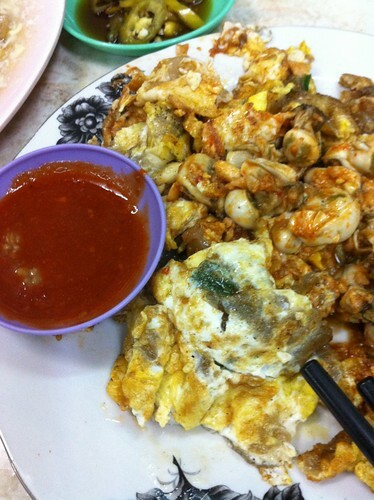 My eldest son’s favourite is oyster omelette or orh chien. Meanwhile, the place also have nice meat porridge but I didn’t snap a photo. The only lousy thing at that coffee shop is the seafood stall. The other thing that we all like to order is the wan tan. 12 pieces of wantans loaded with meat is RM8. 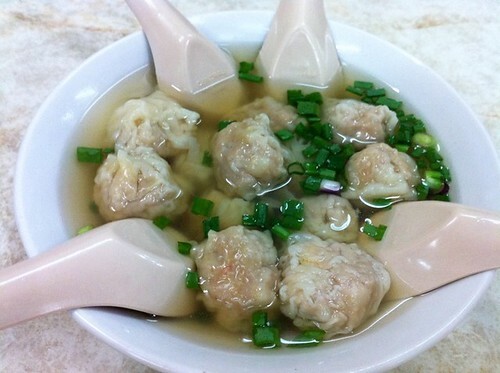 The soup is nice and the wantan size is huge, unlike the regular ones where you eat more skin than meat. 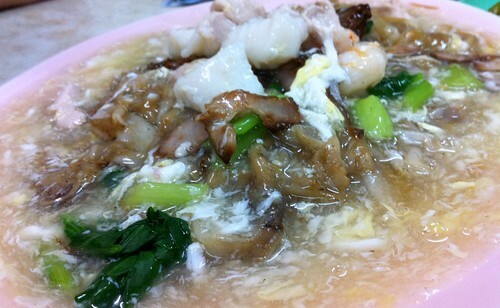 I have blogged about Yi Garden several times because it is one of our regular hawker foods place. It is only available at night. Yi Garden is at the corner of Macalister Road and Lorong Selamat.